Commerce has consistently shown when a new technology favors customers by providing the most affordable purchasing options, it succeeds, just as Walmart and eBay, Amazon and Alibaba have done. A selfless new blockchain called Cartel is introducing a platform that is set to disrupt retail forever: A portal that connects buyers and sellers, eliminating all of the middlemen and giving individual consumers wholesale price benefits. Los Angeles, CA – February 2017 – Cartel Coin’s vision will involve no middleman, connecting retail buyers with manufacturers and wholesalers to allow unprecedented purchasing power to significantly reduce costs to the consumer. Running on Cartel’s own cryptocurrency, consumers will be able to buy previously unaffordable products, such as a premium car or electronic devices, through smart contracts that automatically enforce when a minimum number of buyers is reached. The end result is the elimination of unnecessary markups, heavily reduced prices for the entire spectrum of consumer products and a globe of highly satisfied consumers. This has the potential to permanently reshape the supply and demand dynamic, for it places power in the hands of the consumer in a way that has never happened before. Currently, wholesalers from all over the world will place bulk quantity orders with manufacturers in the thousands to hundreds of thousands to then sell to retailers who then sell to consumers. This model is highly labored and expensive for the end user. Cartel Coin’s smart contract cuts out the wholesaler and retailer simply by connecting individual buyers from all around the world and collectively pooling their individual orders into one large wholesale quantity purchase. Everyone saves anywhere from 2-10x their money. This approach to buying and selling can apply to any industry and niche. To understand the extent of the ramifications, the company likes to use the automobile industry as an example. The most common way to purchase an automobile is through a third-party showroom. Now, the costs involved in the current method of operations creates a markup of 50-150%. A car is a product that almost every person desires, so there is a great market in this industry. The retail price of a Range Rover is roughly $150,000. On Cartel Coin’s platform, it may sell at $80,000, as it eliminates all middlemen costs. In 2016, over half a million people bought the car. With the reduced price, it is certainly believable that more would have done so. If a million people did so on CC’s platform, that would generate a revenue of $80 billion – a staggering sum for a single type of purchase. Cartel plans to support this marketplace through self-investment. They will attach a 3% fee to every transaction, which goes back into the coin holders purse after opex. This is a stunning revenue model that benefits all of the parties involved. Cartel Coin’s insistence on benefiting coin holders is a significant feature of their development ethos. We’re taking out Groupon and we’re partnering with Amazon and Ali Baba. I don’t care what it takes. This product just makes more sense. They have everything to gain. Nothing to lose and best of all we the people gain just as much as the corporations. Cartel sees the retail price problem as a major hurdle to the average customer and a completely unnecessary procedure given the highly connecting nature of our modern economy, stifling the chances of an improved standard of living and limiting access to life-improving goods to the wealthy few. We aren’t going out launching an ICO for $50Mm dollars. We aren’t building a space rocket. We’re building an innovative consumer service. It’s a real project that will work tomorrow, not next decade. It’s got a real cost to it that reflects the products developmental demands and then provide us the ability to commercialize it properly. There is a genuine revenue model and need for the token and we haven’t stacked our team with an abundance of unnecessary staff or a roster of shadow advisors just to make you think it’s going big. We will be pushing the product live within 6 months – that alone is a feat that no other one of the thousand ICOs on Ethereum can say. Other features within the platform include the Cartel Coin Wallet, a Propriety Payment Solution and a revolutionary B2B portal that will make this an online marketplace where both consumers and companies can significantly downsize their costs and save thousands, even millions in the process. The Pre-Sale for the Cartel Coin ICO launches in just a week. 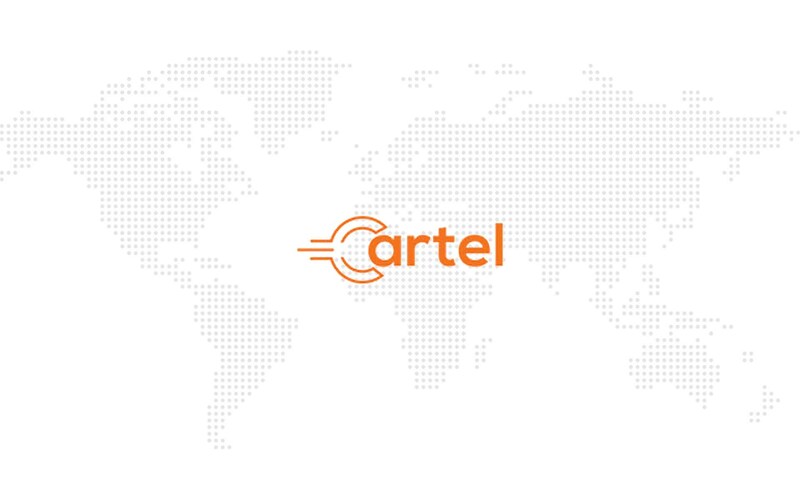 To learn more about Cartel Coin and the upcoming ICO, visit their website at http://cartelcoin.io or download their Whitepaper directly by clicking here.